The above chart show increases in Sales & Pending contracts. 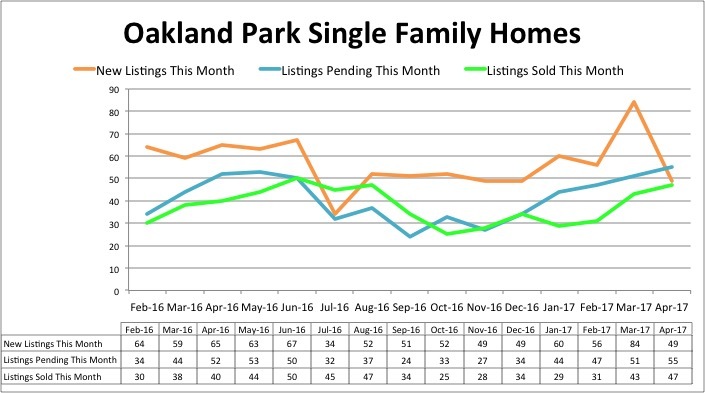 New listings show a sharp drop, primarily due to large number of new listings in March 2017. 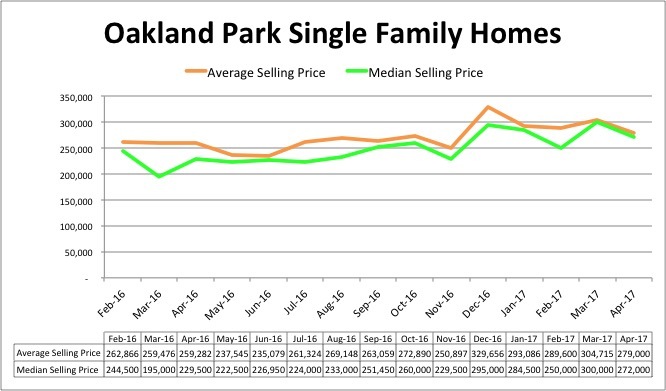 Prices for Single Family Homes continues to improve showing increases over 2016. 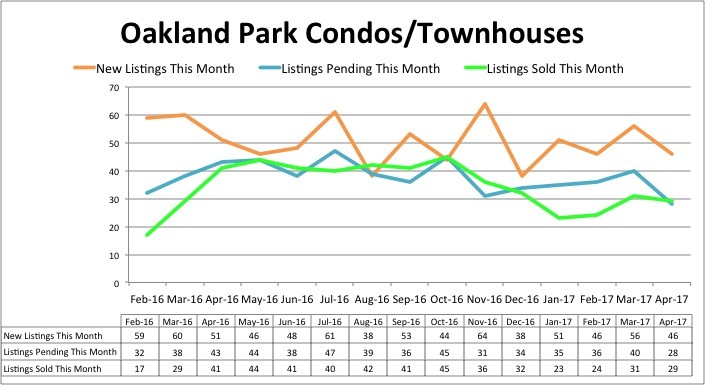 Condo sales on the decline, as investor sales continue to represent a smaller percentage of sales, and new home buyers struggle with obtaining financing due to strict regulations on lender financing, and increased costs for FHA loans. 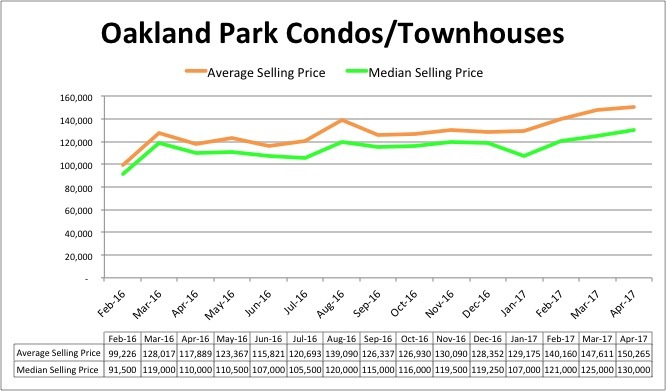 Although sales are dropping, prices continue at a steady pace to recover levels lost prior to 2011.